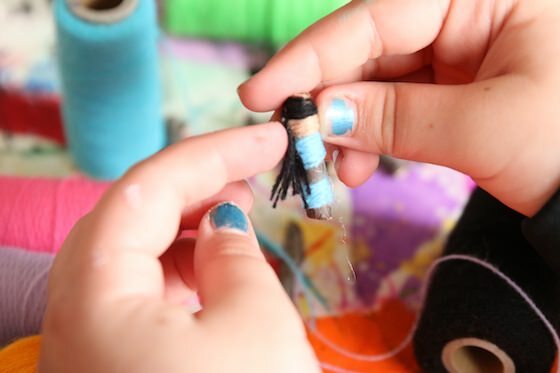 Learn how to make Guatemalan Worry Dolls with twigs and embroidery floss! 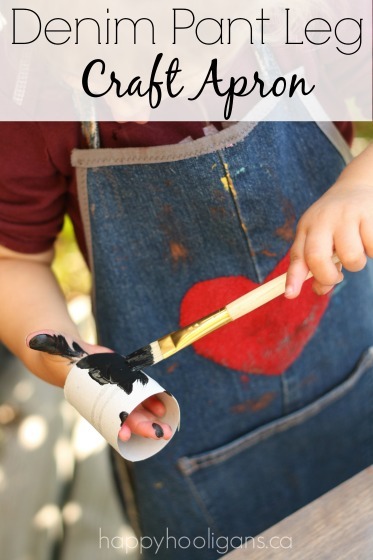 Whether your kids need a tool to help manage their worries and anxiety at bedtime, or they’re just looking for a quick and easy doll craft, they’ll love this fun and easy craft idea. When I was a kid, my Aunt travelled a lot, and wherever she went, she would buy me a small doll that was unique to the country she’d visited. One of my favourites was not just one doll, but a set of tiny Worry Dolls that she bought while touring Central America. They came packed in a small hand-painted balsa wood storage box, and I simply adored them. Worry Dolls, also known as Trouble Dolls, originated in Guatemala. 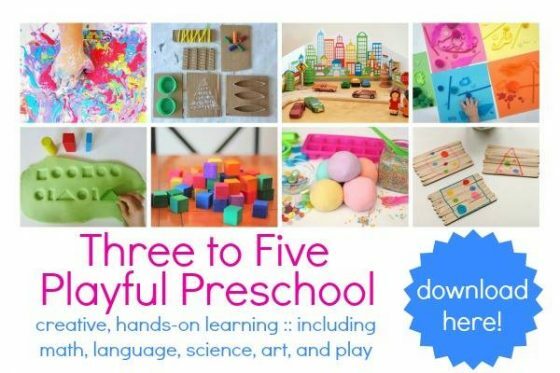 They’re tiny handmade dolls made from wire or small sticks, and they’re wrapped in clothing made from yarn, embroidery floss, or small swatches of fabric. Legend has it, children tell their worries to the dolls and place them under their pillow when they go to sleep. When they wake in the morning, their worries are gone, as the dolls have replaced them with the knowledge and wisdom to overcome their troubles. You can read more about the original of the worry doll here. My daycare kids love making homemade dolls, so I’ve had worry dolls on our to-do list for a while now. We finally made them the other day, and oh my goodness!! They turned out SO CUTE! 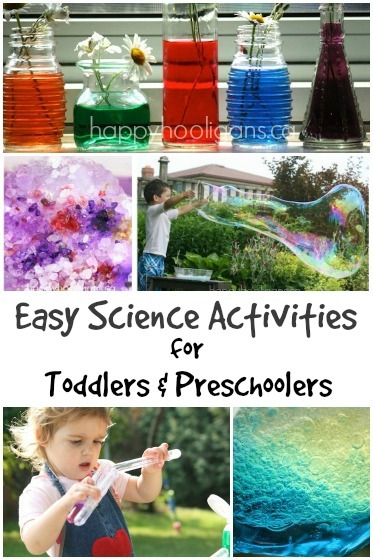 They were so fun and easy to make. This would be a great craft camp craft. 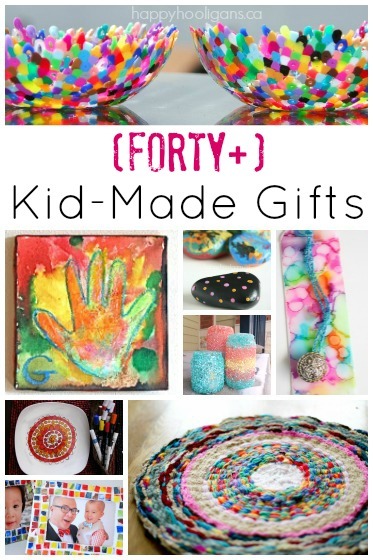 It’s perfect for the 7 and up age group to make for themselves or as a gift for a friend, or to make and trade with each other. 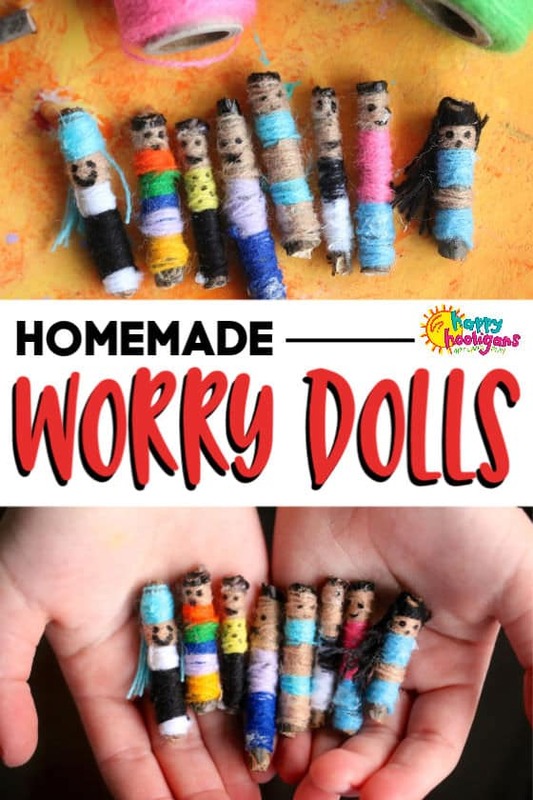 Because worry dolls are so tiny, they do require advanced fine motor skills, but younger kids can always make our yarn wrapped popsicle stick dolls or our yarn and fabric paint stick dolls as an alternative. Gather twigs from around your yard. If damp, dry them indoors overnight before cutting them into 1″- 2″ pieces. Wrap the twigs with various colours of yarn or embroidery floss. 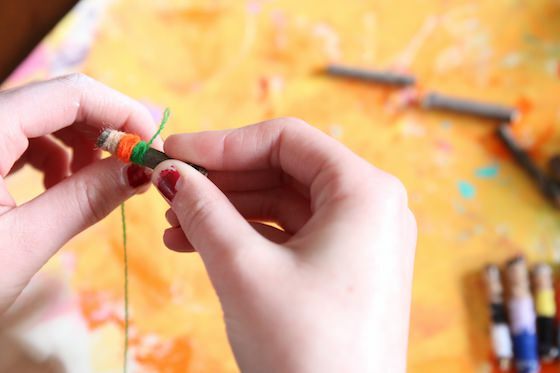 To secure the starting piece, leave a little tail, and wrap over it a few times with your yarn. 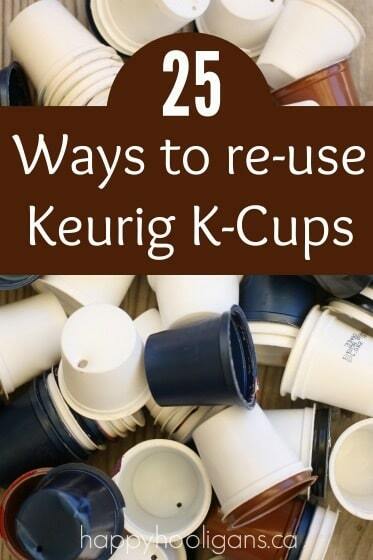 Do the same when changing colours. 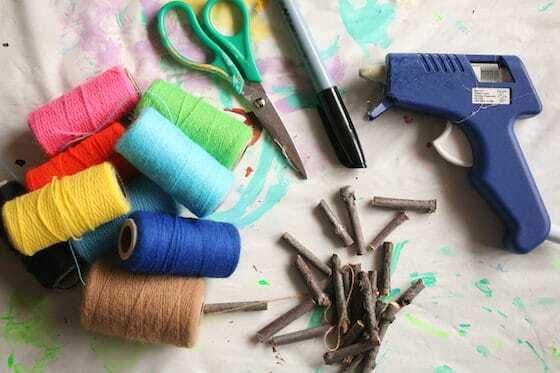 To finish, cut your yarn and knot to secure, or dab with a bit of glue from a low heat glue gun. Use a permanent marker to draw eyes and a mouth on your worry doll. 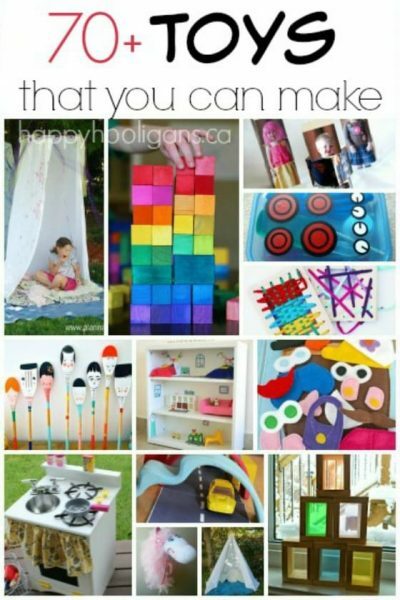 You can even get really creative, and add hair to your worry doll! 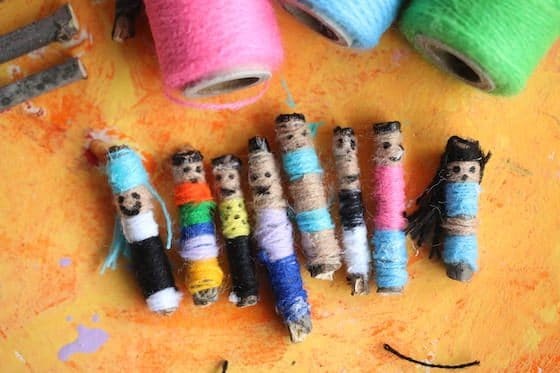 Now that your kids know how easy it is to make a worry doll, they can make a bunch to give as gifts, to trade with friends, or to tuck under their pillow at night. Now if only we could make a little balsa wood box to keep them in! We used to use clothes pin, not the spring type, the peg type for the starter.